Neenah, WI - Year after year, Hours of Service violations top the list of driver violations found during roadside inspections. 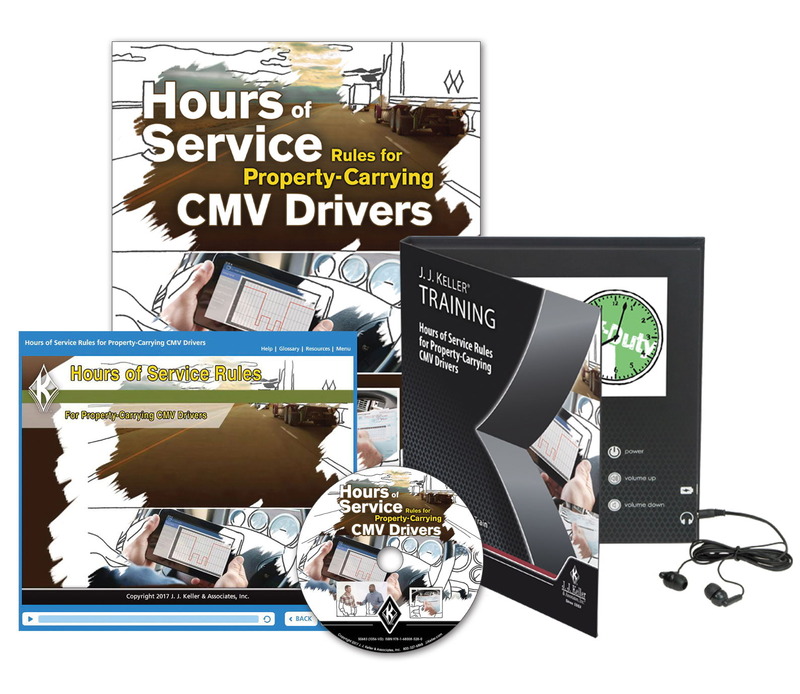 To help motor carriers combat this, J. J. Keller & Associates, Inc. developed its new Hours of Service Rules for Property-Carrying CMV Drivers training program. Hours of Service Rules for Property-Carrying Drivers walks drivers through key regulatory areas such as on-duty vs. off-duty time; 11-hour, 14-hour, and 60-/70-hour limits; the mandatory-break provision; and some of the more widely used exceptions. It also explains how to track Hours of Service using automatic onboard recording devices, electronic logging devices, and paper logs, and reminds drivers how Hours of Service compliance affects their company’s CSA score. At the core of the DVD program is a 26-minute video, which is supplemented by three bonus videos: Exceptions to the Hours of Service Rules, ELD Basics, and How to Fill Out Paper Logs. The program is also available in Video Training Book, Online Course, and Pay Per View Video formats. For more information, visit JJKeller.com/121335.